It’s Your Turn to Make a Difference! Winslow Indian Health Care Center (WIHCC) Suspected Child Abuse and Neglect (SCAN) committee wants to acknowledge April as National Child Abuse Prevention month. WIHCC Methamphetamine Suicide Prevention Initiative is in collaboration with several Programs; Dilkon Family Services, Navajo Health Education Program, Dilkon DBHS, and Dilkon Police Department presents Child Abuse Prevention Month opening day Monday, April 1 beginning at 8:00 a.m. The kick-off event will be located at the Family Services building in Dilkon, AZ. Link will redirect you to a different site. WIHCC SCAN committee. Photo left to right: Rod Antone, Martin Taxera, Adrienne Barton, Adrienne Chao, Iris Barton, Marylou Nells, and Melvina Jody. 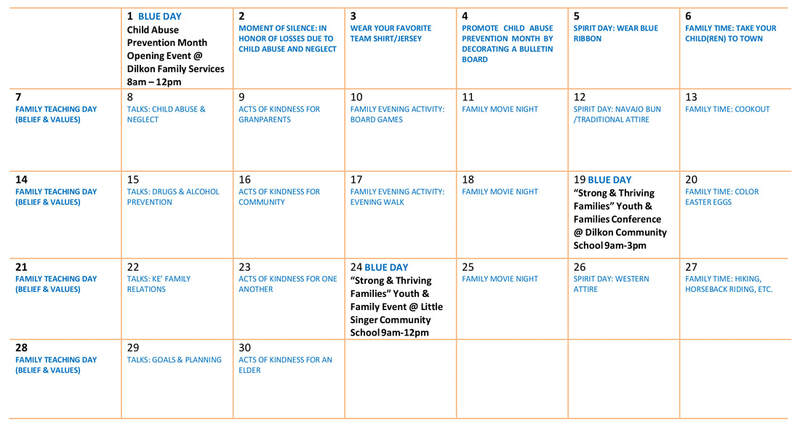 For more information about child abuse prevention programs and activities during the month of April and throughout the year, contact the Winslow Indian Health Care Center at (928) 289-9770.